​People are looking for ways to keep their skin looking young and healthy without invasive surgical procedures. This program takes an in-depth look at two cutting-edge treatments that produce dramatic results: Platelet Rich Plasma (PRP) and Micro-Needling. PRP for facial aesthetics, is a revolutionary, collagen producing treatment offering natural skin rejuvenation for long-term beneficial results. 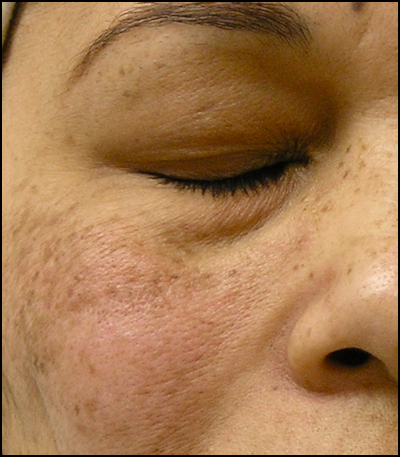 ​Treatments reverse the common aging signs in the skin by using the patient's own platelets, making the treatment hypoallergenic. It is a natural way of rejuvenating the skin, going hand-in-hand with injectables to help with texture, tone, aging, acne and sunspots. 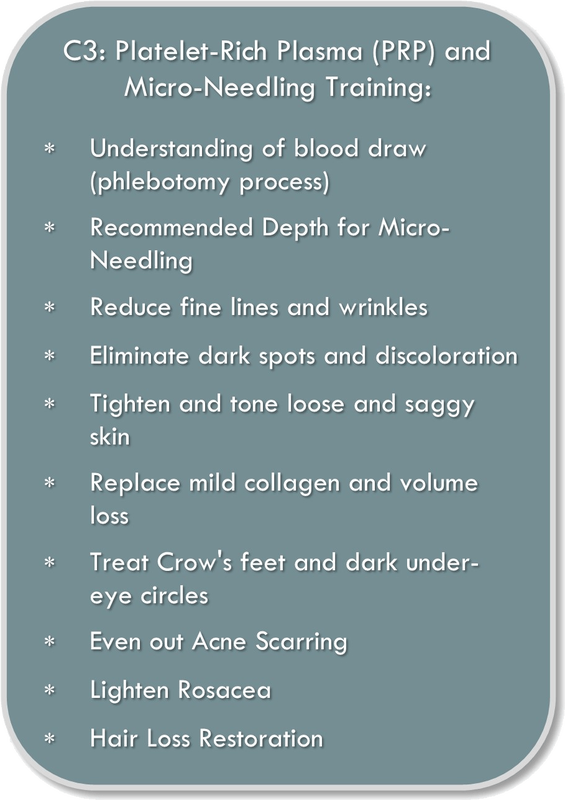 ​In the C3 course, you will also learn how to utilize micro-needling for PRP treatments. Our course specifically uses the Eclipse Pen which can be used to treat acne and surgical scars, including keloids - as well as wrinkles, stretch marks, pore size and other signs of aging. ​​​By vertically piercing the skin, the Eclipse Pen helps naturally induce collagen production and treat pigmentation. 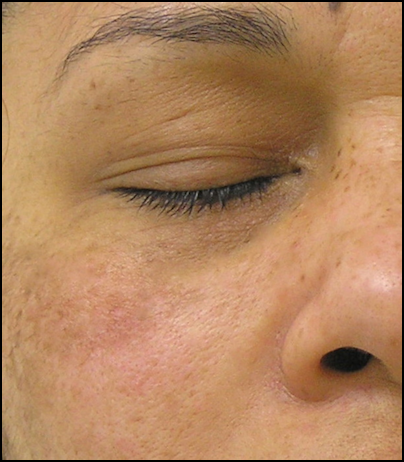 Combining Micro-needling and PRP results in facial rejuvenation that takes years off of a patient's appearance. Applying the PRP to micro-wounds (created by the micro-needling), dramatically enhances the repair process with minimal downtime. Treatments can be incorporated easily into a medical or aesthetic practice with nominal capital outlay and perfectly compliment treatments such as Botox and Dermal Fillers. With an average treatment fee of $800-1100 and practitioner cost of $100-$150/treatment, physicians and nurses can realize significant profits by offering these services. Why Train with CosMedic? The Choice is Easy.